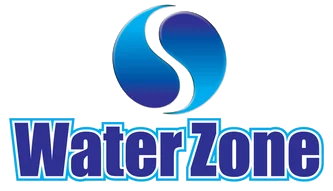 Water Zone offers a complete line of Reverse Osmosis (RO) systems to meet the needs of each individual client. Systems can range from 1 Gallon Per Minute (GPM) to 800 GPM on a single skid. All systems are custom designed, based on the client’s raw water source and desired final water quality. 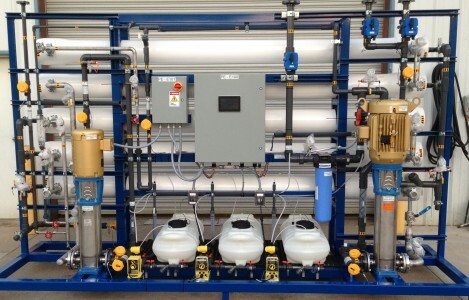 Water Zone designs and builds complete custom Brackish Water Reverse Osmosis systems. 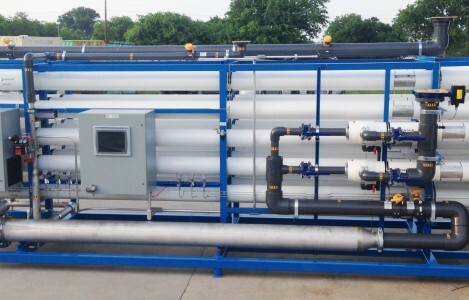 Our Brackish Water Reverse Osmosis Systems are available with a wide range of of capacities and turbidities and s are designed to reject constituents that have a molecular weight of greater than 150-250 daltons from brackish water. 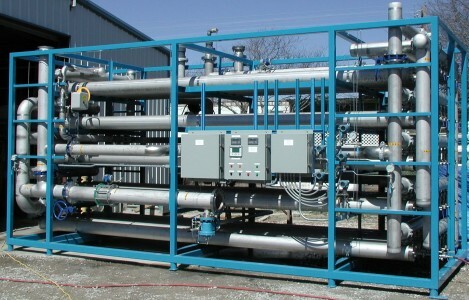 Our systems are also capable of purifying water removing salts and handling other impurities. All systems are customized and designed specifically to fit individual customer and application requirements. Reverse Osmosis (RO) technology is used in all of our custom-made reverse osmosis water treatment systems to purify water by removing impurities, contaminants and salts. We use RO membranes as our core separation technology and use the most reputable membranes manufacturers such as Dow Filmtec. Superior Quality: The SD Series reverse osmosis systems from Water Zone are designed to provide the end user with superior water quality for the application at hand. Each project is approached with the goal of providing the best quality water at the best possible price, without cutting corners when it comes to quality of components. Reverse Osmosis (RO) technology is used in all of our custom-made reverse osmosis water treatment systems to purify water by removing impurities, contaminants and salts. Exceptional Performance: Each system is equipped with quality components designed to perform for years to come. All skids are powder coated for excellent corrosion resistance. Protection for the major components involving the highest cost to replace are protected on every system. No matter what your application, PWT’s SD Series RO Systems will provide the Superior Quality and Exceptional Performance you expect in a project.